Corinthianmatters is on the road. My colleague, Abaz Kryemadhi, and I are touring Albania and Greece with a group of students. Currently based in Tirane, Albania, we will be journeying southward later this week and end in Corinth on Monday. This journey will provide opportunities to see cities related in some way to Corinth, like the Archaic-age colonies of the Corinthians. Already I have had the chance to visit two of the significant sites of Albania and ancient Illyria: Dyrrachium and Apollonia. 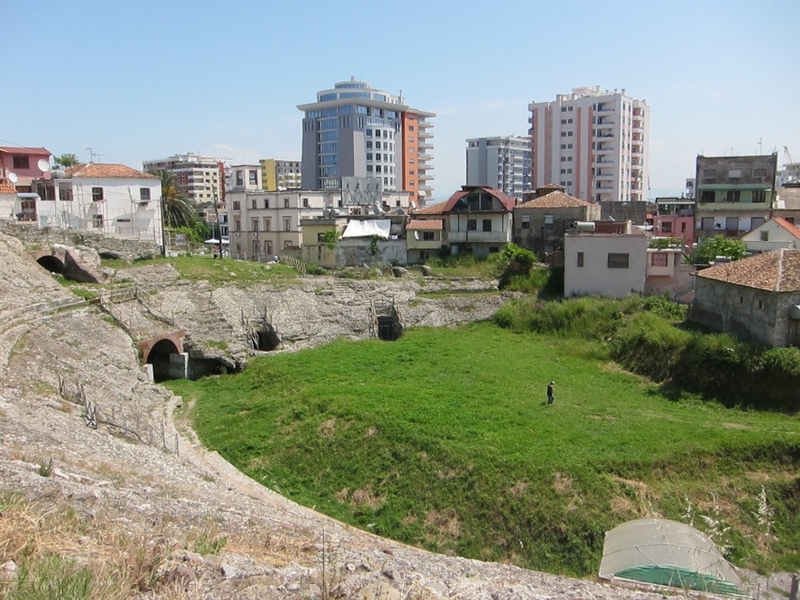 Ancient Dyrrachium lies under the modern town of Durres which is today the port town for Tirane. For the inhabitants of the capital, Durres provides the nearest access to the Adriatic and is a weekend beach destination. The city has been inhabited since antiquity so its ancient remains are largely covered by medieval and modern buildings. The modern archaeology of the city is fairly young and so much more remains to be done. Ancient Dyrrachium, aka Epidamnus, was founded as a Greek colony in 627 BC by colonists from Corfu (itself a Corinthian colony, Corcyra) although there were already Illyrian inhabitants in the region from a much earlier date. According to Thucydides, Epidamnus was central to the outbreak of the Peloponnesian War for the city’s conflict with Corcyra led Athens and Corinth to side, respectively, with Corcyra and Epidamnus. Like Corinth, “Dyrrachium,” as Epidamnus came to be called from the Hellenistic era, developed a reputation for being a substantial trading center. 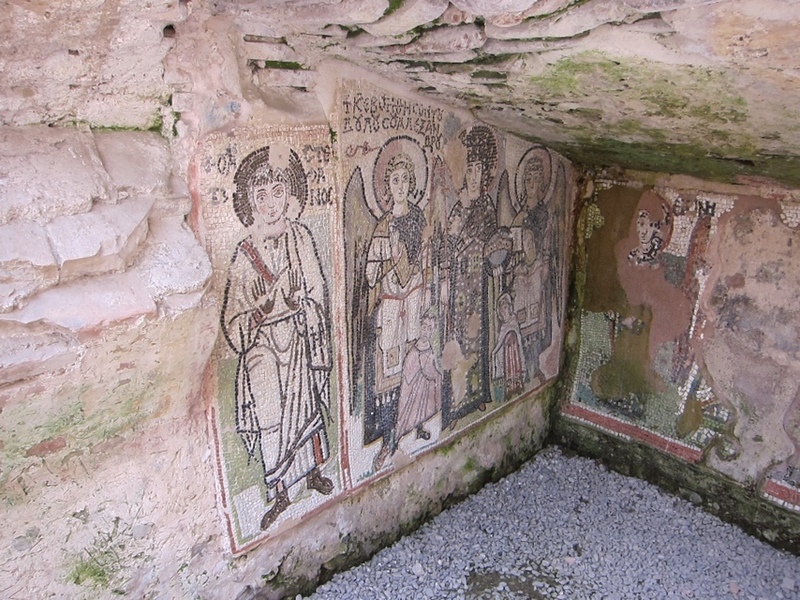 It remained important in the Roman and Late Antique periods and continued to be inhabited to the modern day. 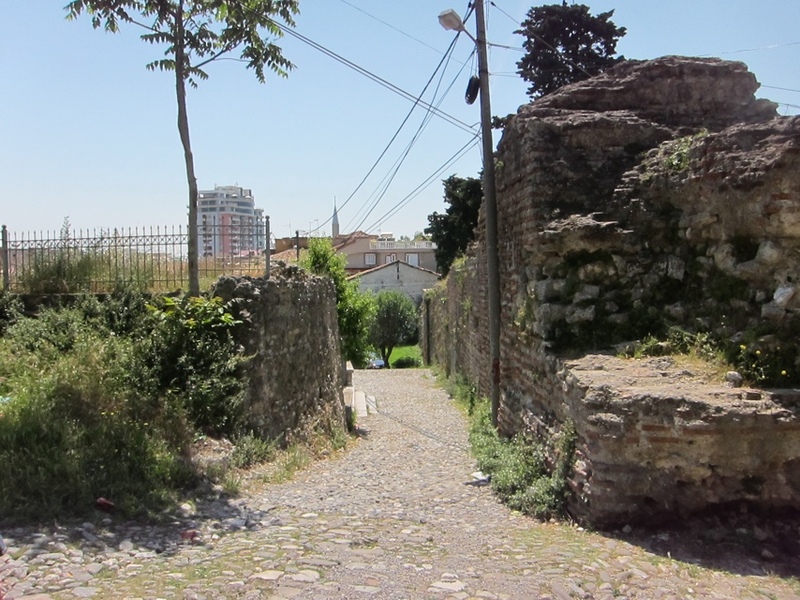 I was only in Durres briefly but noted few remains (outside the museum) dating to the Archaic and Classical era. Most of the remains are Roman and Late Antique in date: a 2nd century AD amphitheater, late antique-Byzantine walls (based on classical walls), and the early Christian chapel below the amphitheater. 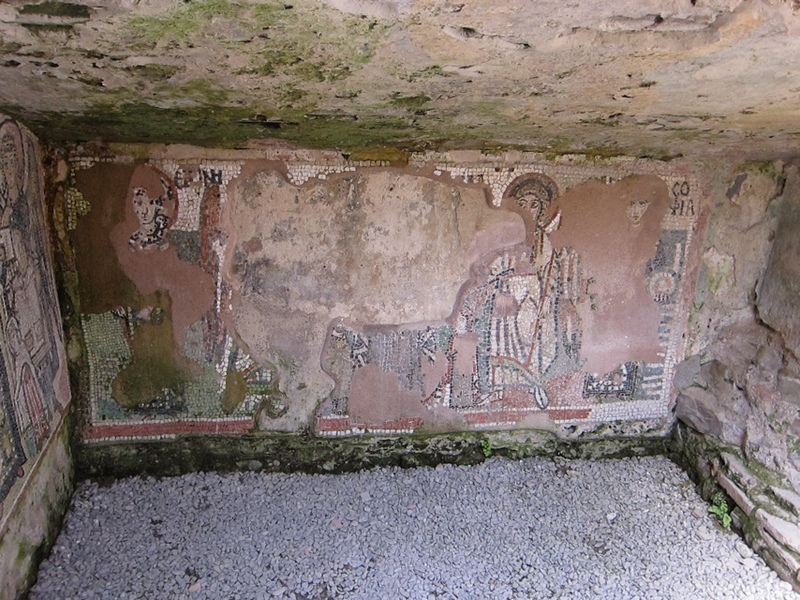 Unfortunately, I missed some of the spectacular mosaics uncovered in salvage excavations in the city — next time. Some of the best pictures I include below. Cameras were not allowed in the museum (which contained some outstanding artifacts).